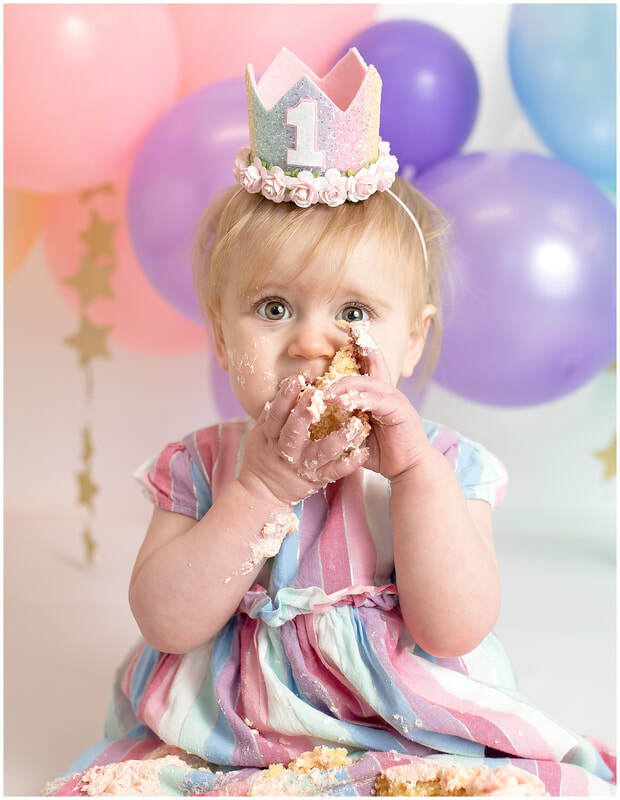 What better way to celebrate that first birthday milestone, than with a cake smash and splash. 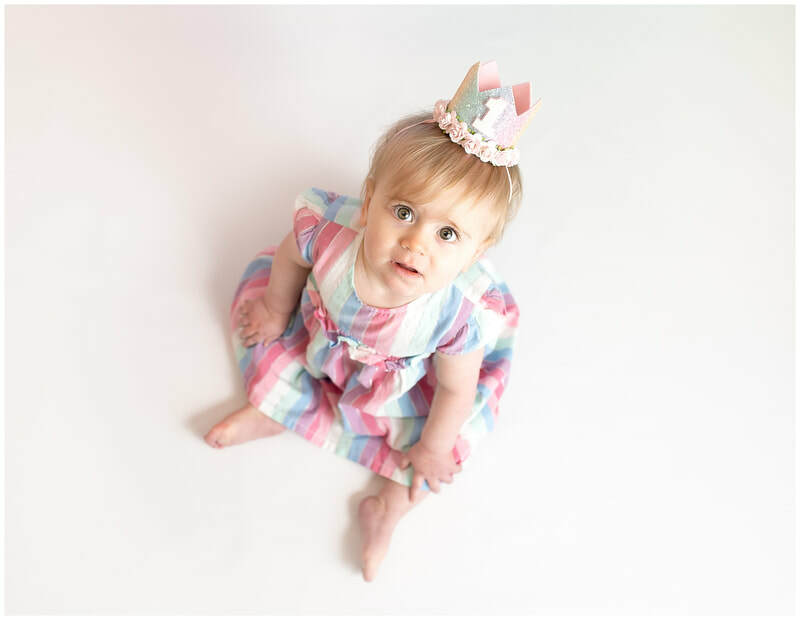 ​Your little ones first taste, bite or even lick of cake, funny reactions, mixed emotions and lots of CUTENESS! 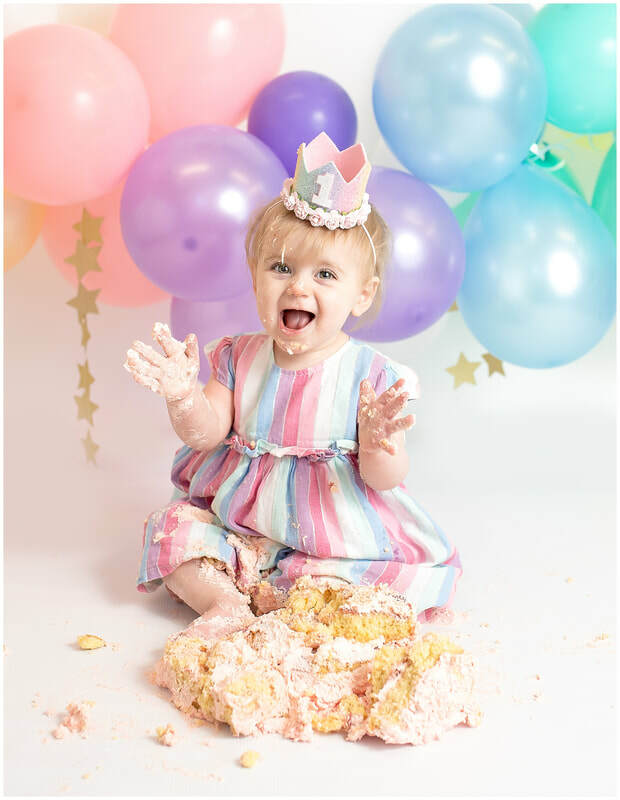 ​Cake smash sessions are my all time favourite, its fun, messy, colourful and no two cake smashes go the same! 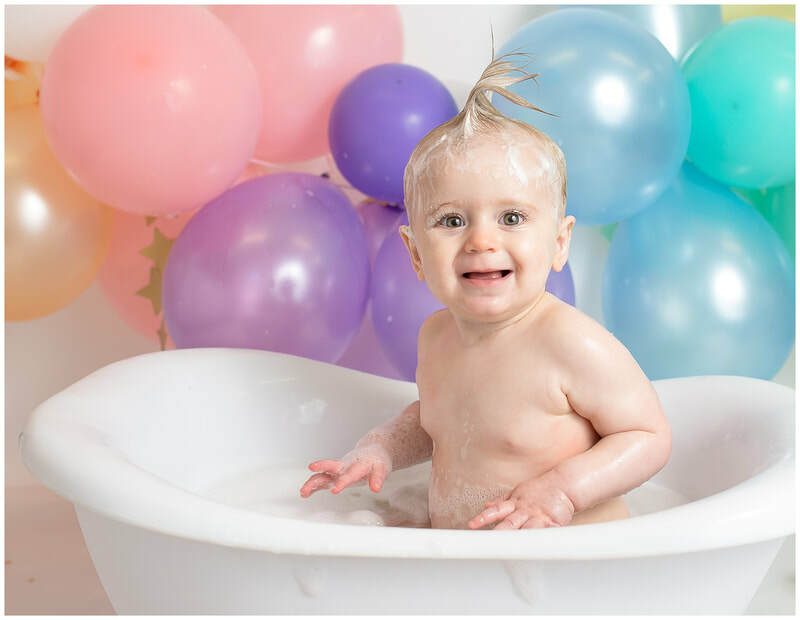 ​And now, your little one can also enjoy a splash session as well, meaning he/she will be sticky free and ready for a nap by the end of it. ​Sound good? You know it does! 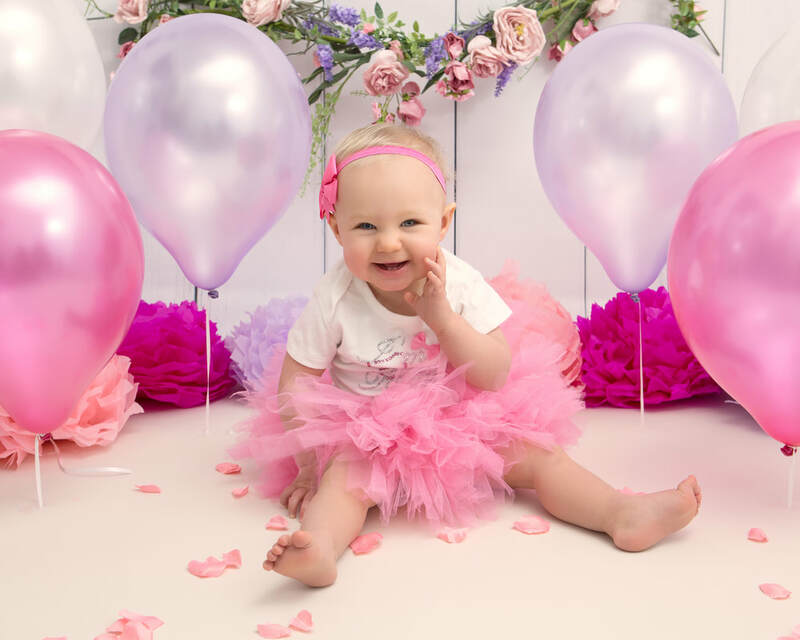 ​My cake smashes are so popular, i take more cake smash bookings than any other portrait booking. 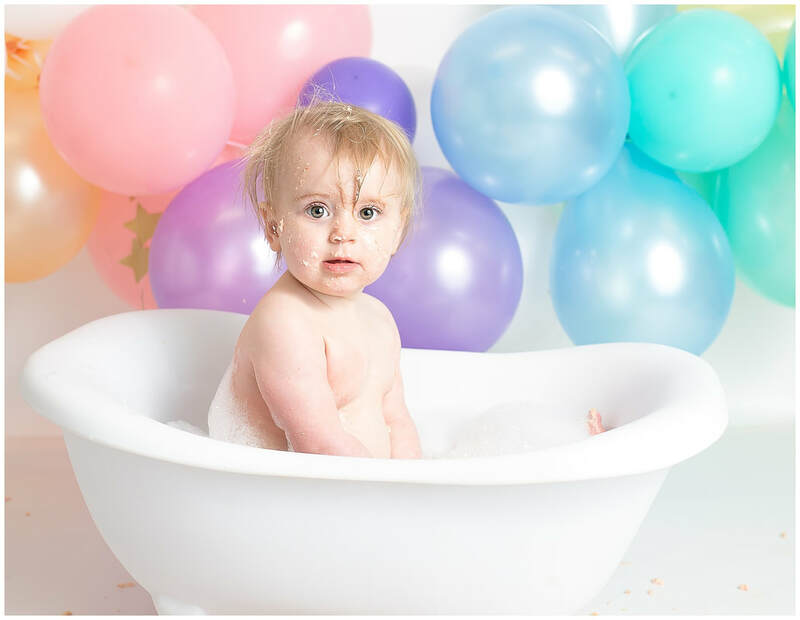 Cake Smash and Splash in Hull, East Yorkshire. 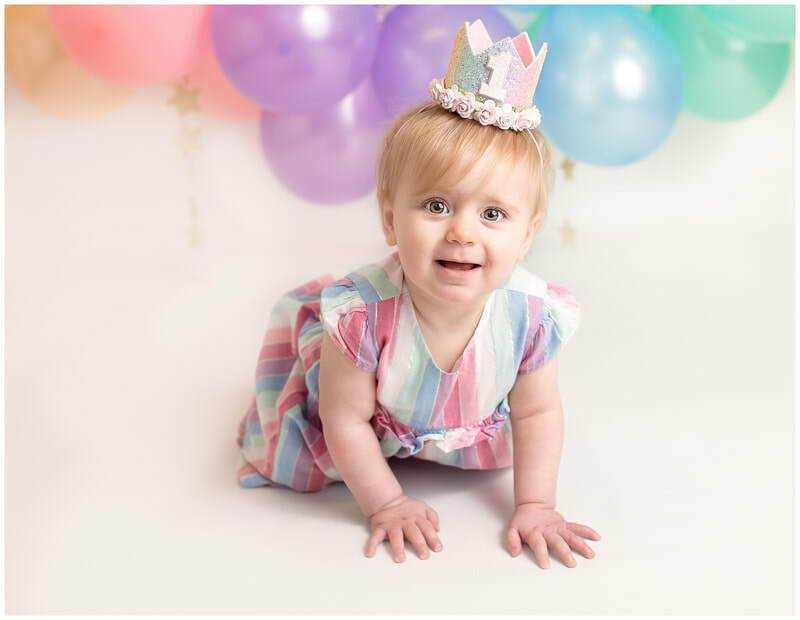 ​​Not only will the photography session be one big sensory play for your little one, which of course will be lots of fun, it will also be hugely enjoyable for you too. Especially for the Dads who like to get tucked into the cake also, but who can blame them right? 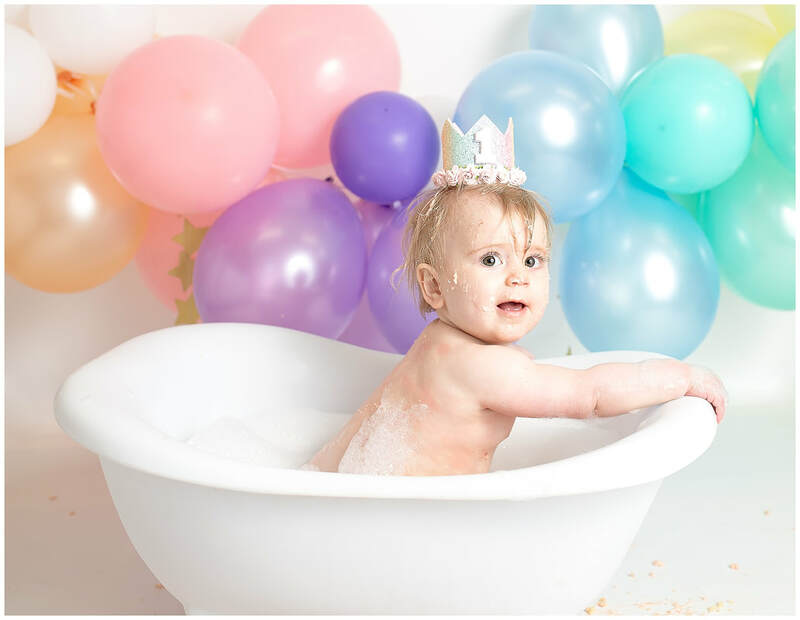 ​What to expect from a cake smash and splash session? 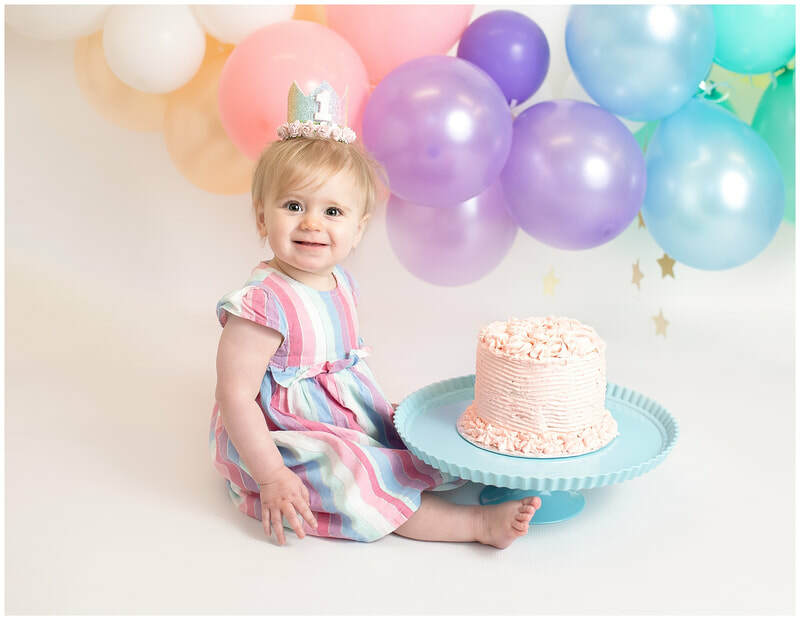 ​A consultation will take place as soon as you drop me a message, and we will discuss themes, personal props, food allergies etc, to make sure your cake smash session is tailored made just for you and your baby. On the day, you will arrive and a mini session will take place first. 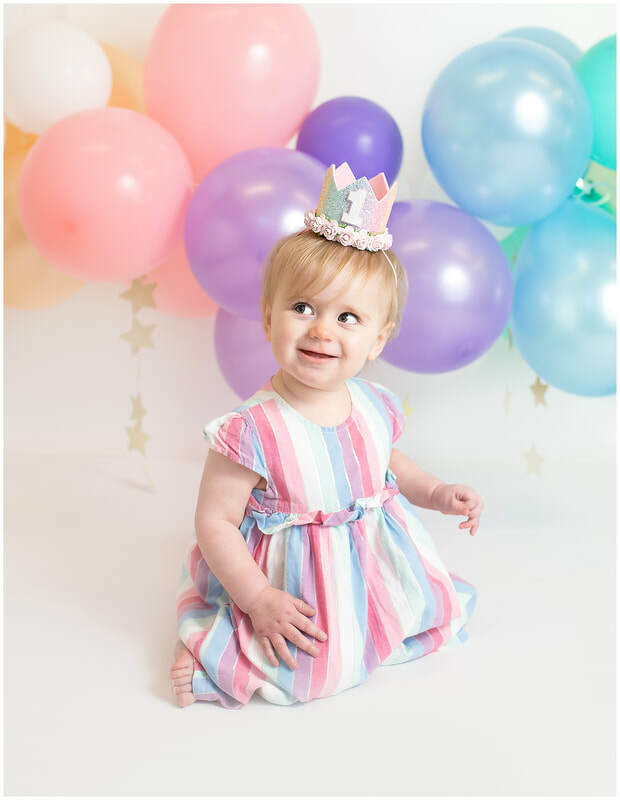 This is to get your child used to me, and the setting, and will last 5-10 minutes, so you get a nice little clean portrait session first. Then I will bring the cake out, now the cake smash part normally lasts around 15-20 minutes. Babies will kiss it, pull it apart, throw it, whack it, stick their feet in it, ask mamma or daddy to eat it and sometimes even want me to play with it. It's all fun and games and the main thing to do is so wrong, but works good during the session, and that's to praise them... After the smash, it's a splish splash time. Meaning you get some nice fun photo's in the roll top bath, and your baby is all clean to go home, and probably tired too. If baby doesn't like the messy part of the cake smash, then ALL babies love the splash session!! ​​If using one, a dummy, or something that makes them happy. ​everything else is included in the price and supplied by myself.